Previously we have discussed the need to incorporate dental sleep medicine courses into the curriculum at dental schools. While this continues to be an area that we need to focus on, I have some exciting news to share with you all. To my knowledge, the first school where the dean is proactive in incorporating dental sleep medicine (DSM) education is West Virginia University School of Dentistry. 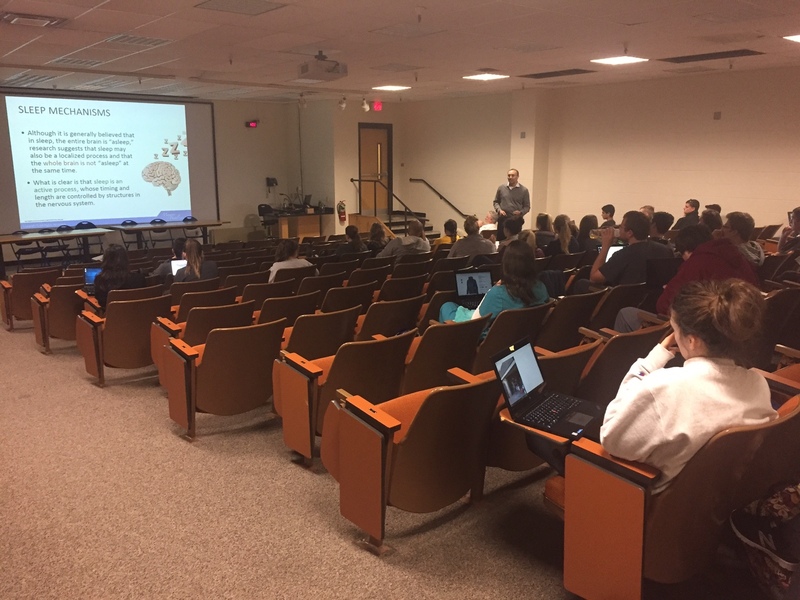 Beginning in the first year of dental school, Dean Borgia of West Virginia University ensures students can start receiving classes in DSM. And, to help keep students informed, I have joined forces to provide courses on DSM and other areas. Topics are covered at West Virginia University as they cover sections in Basic Science. When students complete head and neck anatomy, I came in to visit and teach about Airway Anatomy as it relates to sleep apnea. Understanding the airway and how it can affect a patient’s sleeping patterns due to sleep apnea, and other sleep disordered breathing conditions, is vital in maintaining your patients’ health and improving service offerings. Next, when students’ classes covered respiration in physiology, I came in again to discuss sleep physiology. There are two types of sleep, non-rapid eye movement (NREM) and rapid eye movement (REM). By understanding these types of sleep, and their role in sleep apnea, as well as other areas, students can continue to learn the importance of DSM and caring for their patients. This occurs each time students reach a place in their learning where dental sleep medicine come into the picture. By providing these added courses, we can pave the way for our students to begin their dental careers with more knowledge than ever before. And, while they will still need to complete more education each year to remain up-to-date, the dean, a few of my colleagues and myself are able to get them prepared for the future. Providing advanced classes in dental sleep medicine at our Universities should be a requirement for all dental schools. I am glad West Virginia University’s School of Dentistry Dean has taken that next step in providing classes at each phase of learning. To learn more about my upcoming lectures, and where I might be next, please visit my Upcoming Lectures page. I recently read an article in Sleep Review about Dental Schools receiving a failing grade. While this might be accurate, I wouldn’t give the schools a failing grade. What dental schools do is educate dentists to provide general dentistry. However, we can change this failing grade to a passing grade with the availability of continuing education courses. Let’s take a stand and further advance ourselves and our practices by understanding how to take our dental education to a new level of success with continuing education courses. According to researchers, there is an absence of sleep-disordered breathing education for dental school students. With the increase in a need for proper obstructive sleep apnea treatment, dentists remain in a unique opportunity to screen patients and recommend treatment. While dentists can’t diagnose, they maintain the ability to notice the first signs of sleep apnea, which allows them to refer to a sleep physician for proper diagnosis. The issue that remains is that when dentists graduate from dental school, they are not prepared for the added services of dental sleep medicine. It has been shown that less than 3 hours are dedicated to OSA and other sleep-related disorders for dental students. And, only a handful of postdoctoral programs are available that include such courses to help improve the offering of dental sleep medicine. In order to further improve dental students’ understanding of all areas of dentistry, we must provide our students with the education they need to better serve their patients. While I don’t have a set answer for how many hours are needed to be spend on the subject of obstructive sleep apnea, there is one thing we do know–continuing education is available. The availability of continuing education courses in dental sleep medicine allow dentists to continue to advance their knowledge in dentistry. While many dentists will go on to remain in general dentistry, others search for ways to further their practice and services available. This is where continuing education comes into play. Are you ready to continue your education well past what you learned in dental school? While less than 3 hours are dedicated to dental sleep medicine in school, there are options out there to help dentists. The biggest advantage dentists have is the opportunity to advance their expertise with quality education seminars and courses from accredited associations such as Nierman Practice Management. 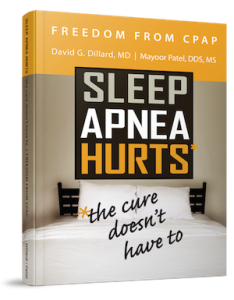 Lead by experienced dental sleep medicine specialists such as myself, we continue to help dentists and their teams advance their practices to offer sleep apnea services. And, while researchers has stated that “without such a component in their academic career, the researchers explain, dentists must rely on courses offered by manufacturers of oral appliances and information gleaned from medical literature and industry meetings,” there’s more out there. Today, numerous courses are available through accredited associations and led by experienced dentists who are currently practicing within the field of dental sleep medicine. Visit my lectures page or Nierman Practice Management to learn more about your options for continuing education.